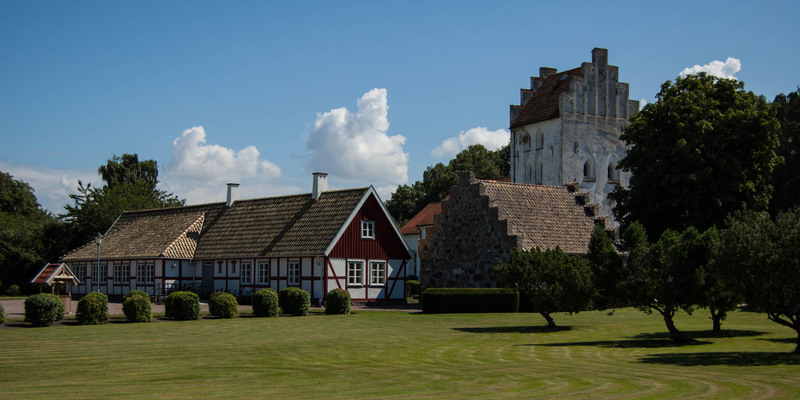 The medieval church Farhults Kyrka is located 10 kilometres east of Höganäs near the village Farhult on the north side of the peninsula Kullen. 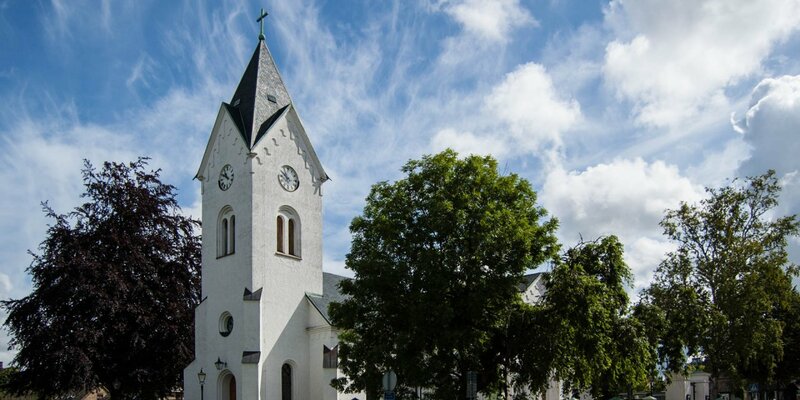 The Church of Farhult was built from fieldstone at the beginning of the 13th century in Romanesque style. 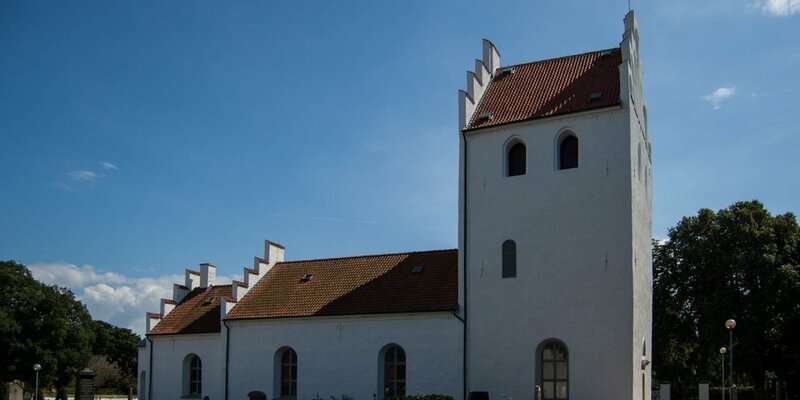 Farhults Kyrka consists of a nave with a small, low choir and a semicircular apse. The vault in the nave and chancel was built in the 15th century and the tower with stepped gables dating back to the same century. The frescoes in the apse dates back to 1300 to 1325 and were discovered during extensive restoration work in 1953. 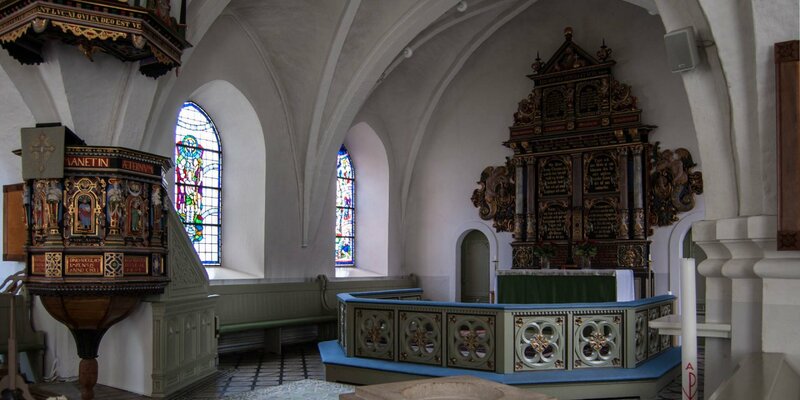 The church interior is dominated by the colors of the medieval altarpiece, the pulpit from 1629 and the murals. They stand in contrast to the simple nave with its white-painted, unadorned walls.